Name of booth: Yano Research Institute Ltd.
We have started offering “free consultation” by the person in charge of Indonesia’s halal certification authority “LPPOMMUI”. You can consult about halal matters in Japanese language with Japanese interpretation. 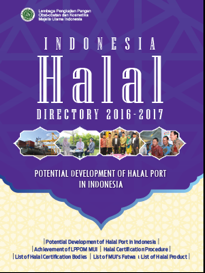 This is a unique opportunity to receive direct advice from Indonesia’s halal certification authority. If you want to obtain halal certification, or considering sales in overseas markets, or confused about halal certification and the method to obtain it, you can clear your doubts with us directly by coming to our booth (We will announce the consultation schedule at a later date). We are also holding a seminar session (fees applicable) titled “Current and future directions of Indonesian Halal” on 22 Nov 1pm-3pm. We will discuss about the latest trends and future direction of the halal certification obligations in Indonesia. Please consider joining us at the seminar. Feature: We have started offering “free consultation” by the person in charge of Indonesia’s halal certification authority “LPPOMMUI” (Japanse interpretation included). Please use this chance to clear your doubts. The consulation schedule will be announced at a later date. 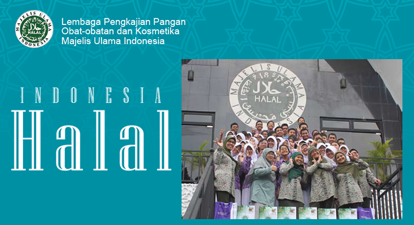 Feature: It is a guidebook published by the Indonesia Halal Certification Authority. It lists more than 7000 factories that has obtained halal certification. It is good foundational information when searching for clients. (It is sold as a set of the original English/Indonesian copy together with the Japanese copy).